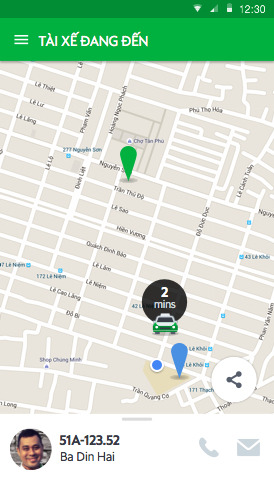 Get a taxi catering for you with just 2 touches. For a wide coverage from urban to suburban areas, 4 to 7-seaters, we have taxi for all your need! 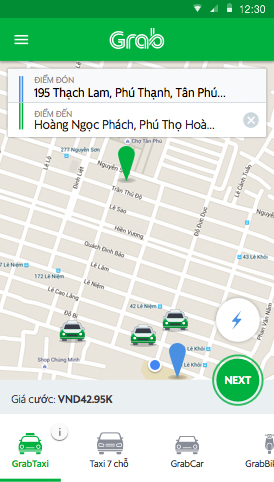 Know the cost estimation and direction before you get the taxi so you can plan time and budget ahead. 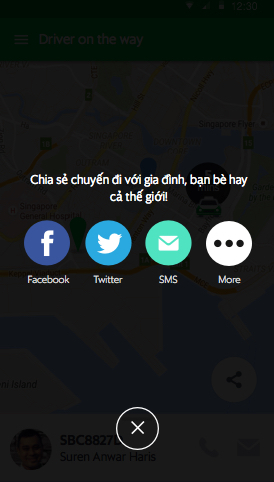 Get to know your driver, ride safe and arrive safe with “share my ride" function. What time are the drivers working? Our service operates 24 hours a day throughout the week, but subject to availability of taxis at the moment of booking. As long as you have either a Google Android (4.0.3 or above) or Apple iOS (8.0 or above) smartphone or tablet, then you’re good to go! 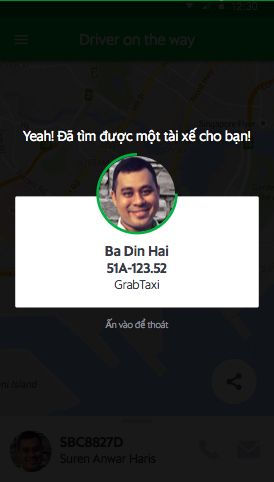 Why is the fare on the app different from that on the taxi’s calculation? 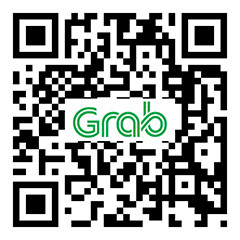 When you use Grab’s service, your taxi fare is based on the taxi’s calculation system (meaning that you are probably using Mai Linh taxi and will pay Mai Linh taxi’ fare). The fare on the app is merely an approximate measurement of how much you would pay.